Part I Cortical maps of sensorimotor spaces (V. Sanguineti et al.). Field computation in motor control (B. MacLennan). A probability interpretation of neural population coding for movement (T. Sanger). Computational models of sensorimotor integration (Z. Ghahramani et al.). How relevant are subcortical maps for the cortical machinery? An hypothesis based on parametric study of extra-relay afferents to primary sensory areas (D. Minciacchi, A. Granato). Part II.Artificial force-field based methods in robotics (T. Tsuji et al.). Learning Newtownian mechanics (F.A. Mussa Ivaldi, E. Bizzi). Motor intelligence in a simple distributed control system: walking machines and stick insects (H. Cruse, J. Dean). The dynamic neural field theory of motor programming: arm and eye movements (G. Schöner et al.). Network models in motor control and music (A. Camurri). Part III. Human arm impedance in multi-joint movement (T. Tsuji). Neural Models for flexible control of redundant systems (F.H. Guenthner, D. Micci Barreca). Models of motor adaptation and impedance control in human arm movements (T. Flash, I. Gurevich). Control of human arm and jaw motion: issues related to musculo-skeletal geometry (P.L. Gribble et al.). Computational maps and target fields for reaching movements (V. Sanguineti, P. Morasso). From cortical maps to the control of muscles (P. Morasso, V. Sanguineti). Learning to speak: speech production and sensori-motor representations (G. Bailly, et al.). Author Index. Subject Index. In the study of the computational structure of biological/robotic sensorimotor systems, distributed models have gained center stage in recent years, with a range of issues including self-organization, non-linear dynamics, field computing etc. This multidisciplinary research area is addressed here by a multidisciplinary team of contributors, who provide a balanced set of articulated presentations which include reviews, computational models, simulation studies, psychophysical, and neurophysiological experiments. 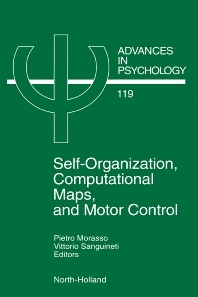 The book is divided into three parts, each characterized by a slightly different focus: in part I, the major theme concerns computational maps which typically model cortical areas, according to a view of the sensorimotor cortex as "geometric engine" and the site of "internal models" of external spaces. Part II also addresses problems of self-organization and field computing, but in a simpler computational architecture which, although lacking a specialized cortical machinery, can still behave in a very adaptive and surprising way by exploiting the interaction with the real world. Finally part III is focused on the motor control issues related to the physical properties of muscular actuators and the dynamic interactions with the world. The reader will find different approaches on controversial issues, such as the role and nature of force fields, the need for internal representations, the nature of invariant commands, the vexing question about coordinate transformations, the distinction between hierachiacal and bi-directional modelling, and the influence of muscle stiffness.